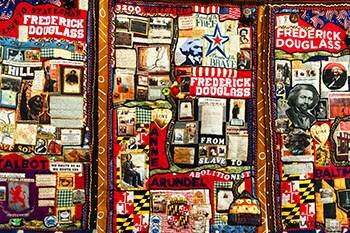 Three handmade quilts that reflect Douglass’s experiences in Talbot County, Anne Arundel County, and Baltimore City will be on display during the Year of Frederick Douglass. The quilts are made by Joan Gaither, a Maryland Documentary Story Quilter and recipient of a 2017 Maryland Traditions Heritage Award. On Maryland's Frederick Douglass Driving Tour.